Feed your pet’s wild side with high levels of protein, unique animal sources in a balanced, grain-free blend and score a $5 coupon for your next purchase. Our dogs’ ancestors hunted for their meals in the wild and flourished on a high protein diet from different animal sources. 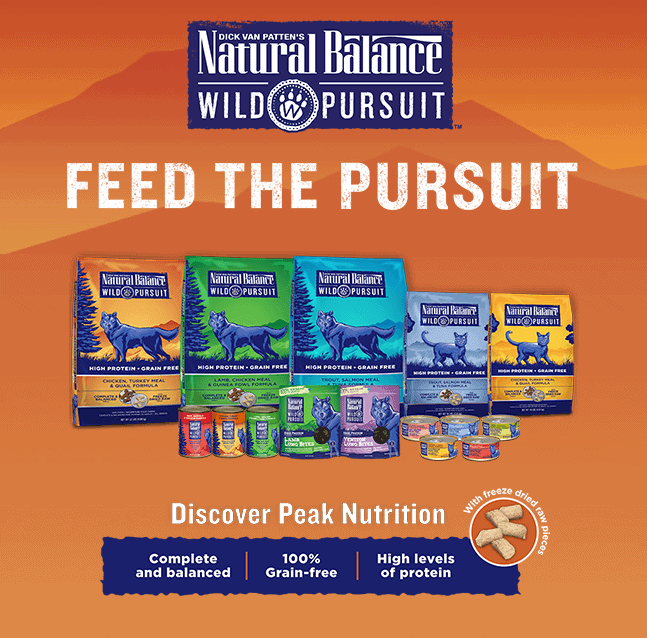 With this in mind, Natural Balance created Wild Pursuit, a grain free diet with elevated levels of protein from multiple high-quality animal sources including freeze dried raw pieces to resemble what a dog’s diet would have been in the wild. It is a formula with the natural balance your dog would instinctively seek for peak nourishment, the way Mother Nature intended. Our dogs devoured a recent delivery of Wild Pursuit Trout, Salmon Meal & Tuna dry dog formula, canned food and treats, and the pack consensus is all paws up. We have a couple of finicky eaters in-house, and food changes tend to trip them up. Not so in this case: within minutes of opening the bag we witnessed a true feeding frenzy. Many weeks later, we are still seeing enthusiastic acceptance from all. Easily digested, Wild Pursuit provides complete nutrition for our athletic canines in a formula they look forward to eating every day. They are thriving on and savoring it, and given their selective tastes, we are certain there is a Wild Pursuit formula that your dog(s) are likely to love. So now that you have the scoop, let’s get to the fun – we have coupons for you today, and an upcoming giveaway planned for the near future: stay tuned for more details. Click here for a list of authorized retailers near you, and here for a coupon worth $5 off your next purchase of any ten pound or larger bag of Wild Pursuit dry dog or cat formula. For more information regarding all available formulas, visit the Wild Pursuit Hub Page. Feed your pet’s wild side with high levels of protein, unique animal sources in a balanced, grain-free blend. 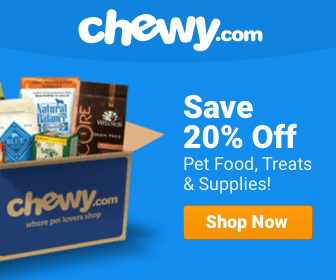 With minimally processed freeze-dried raw pieces mixed in with the kibble, these complete and balanced formulas deliver a taste dogs and cats crave. It’s complete and balanced nutrition for all breeds, from puppies to adults. About like greenies; vegan means no dairy/cheese; or meat or meat flavorings. They have coconut oil as well. I would google the ingredients to make sure there is no grain…my dog is super sensitive too; and she is ok with these.